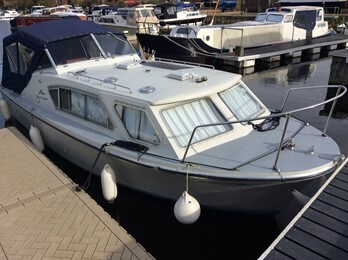 The Seamaster 27 is a very practical river boat with separate forward cabin. Nomad has been re engined with a more modern diesel unit. The Seamaster 27 was without doubt Seamaster's big success story. 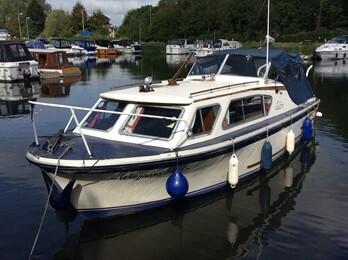 The craft was an in house development of the Seamaster 25 Admiral. 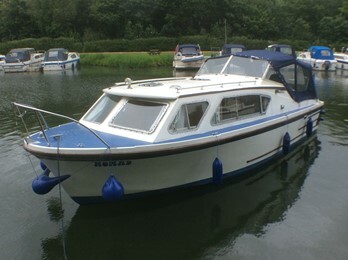 The hull design is a hard chine smoothing out to a shallow V towards the stern. There is a moulded keel and usually small bilge keels. 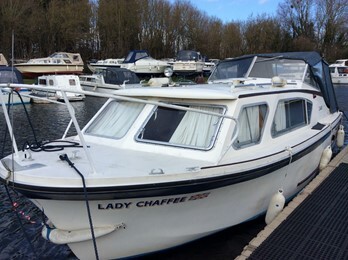 The interior is a classic 2 cabin 4 berth layout and the joinery was in quality timber and to a good standard. The conventional shaft driven system was fitted with Wortham Blake/Ford engines, BMC 1.5 diesels and Perkins 4.107/4.108 diesels.